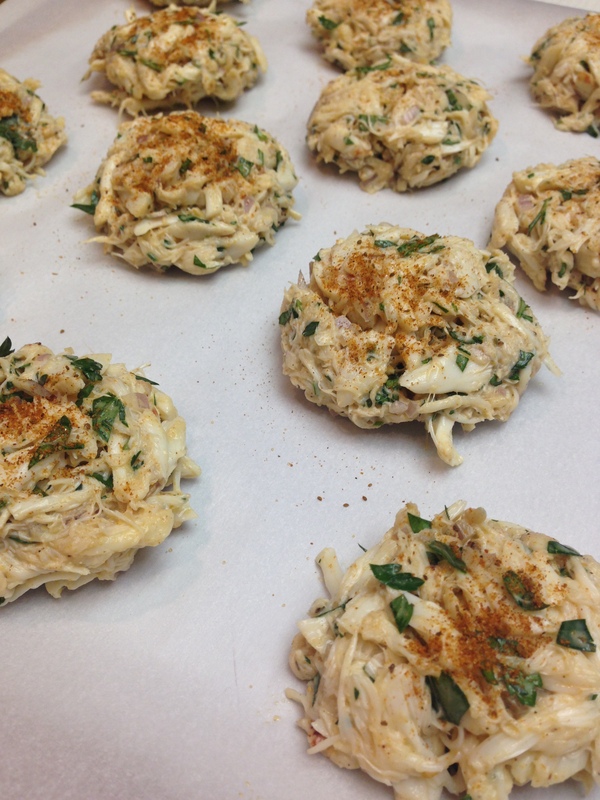 Craving crab cakes – not something I typically crave, and especially not my preferred seafood. You know, like the good crab cakes made with quality crab that you find at say, a restaurant in the Inner Harbor in Baltimore. I will never forget the vacation Seth and I took to Baltimore shortly after moving to Virginia. I think it was one of our first East Coast trips. Talk about good seafood. I can’t remember the exact name of the place we ate, but between the two of us, we literally had a table full to ourselves, of all sorts of awesome local seafood yumminess. GET IN MAH BELLY. 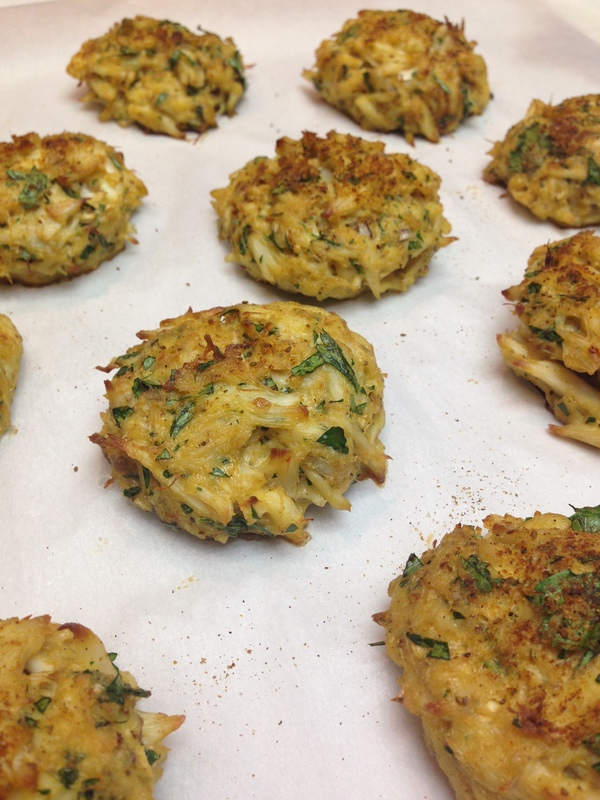 Anyway, mixed up some crab cakes a couple weeks ago to satisfy the craving, and boy did it. We followed the recipe from Primal Palate, in large part, because it’s super easy and just what we were looking for (soy/dairy/gluten/grain free). I modified it slightly, but let’s just say, we devoured them and now we must make again. The only modifications I made included: adding 1 additional TBSP of mayo, juice of 1 lemon, double the amount of parsley and about 1 TBSP fresh minced garlic. Highly recommend!! Even my Dad liked them, and he does not like a lot of seafood taste and/or textures. Give me your email, you know you want to!